Vehicle scrapping is an important step in this program and must be done according to the following guidelines. 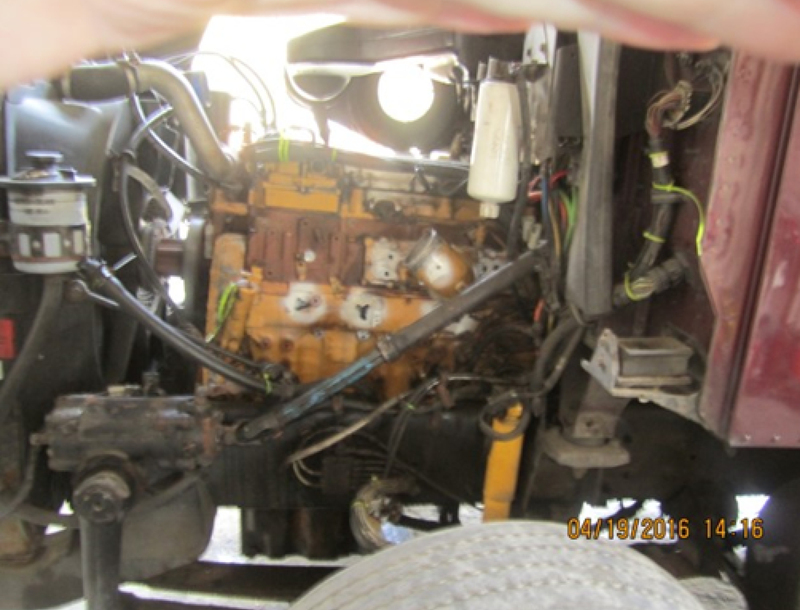 See scrappage photos below for examples of good engine destruction and documentation. Any questions relating to the destruction or scrappage requirements should be directed to Susan Stephenson at 410.205.2730 or sstephenson@ecologixgroup.com. 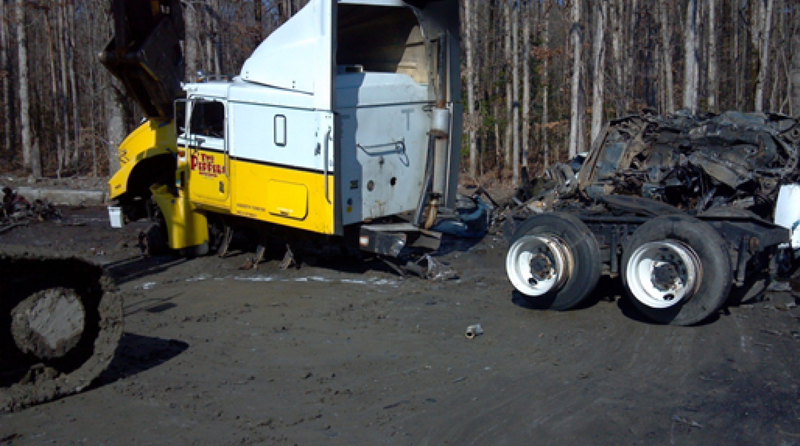 The truck must arrive at the scrapyard with the chassis attached and the engine intact. It is very important that you do not remove anything from the truck except for personal items. The program cannot release the rebate until the scrappage is satisfactorily completed and photographed. Failure to comply with instructions for scrapping will result in the denial of your rebate funds. Amount paid for scrappage, if any. Photocopy of the front of the check from the scrapyard. *Important: Take your title with you to the scrapyard. 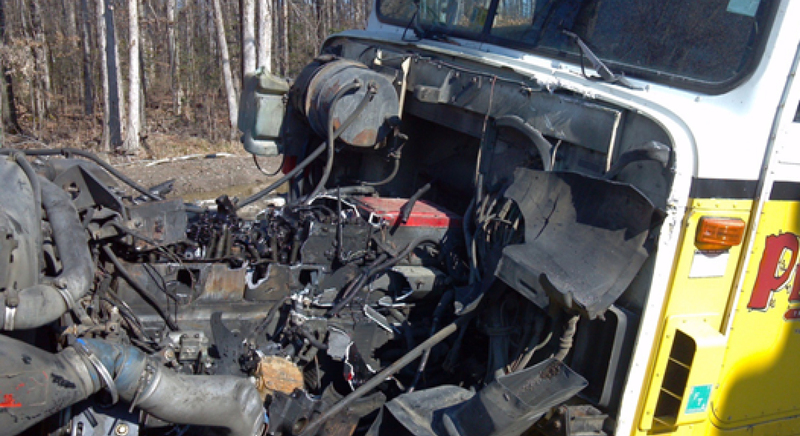 The scrap yard must also complete the EPA Certificate of Vehicle/Engine Destruction form. Take a series of “before” photos of the truck. Engine destruction – at least 2 shots (the more photos the better) that are close-up from different angles, and another photo back a few feet showing that the engine block has been drilled or sheared (with a little of the truck color showing in the photos). 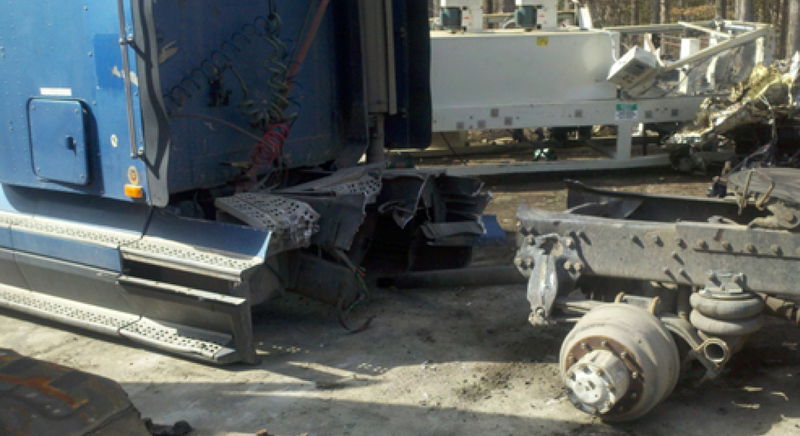 Area of the cut chassis – a close up of the cut (show a little of the color of the truck), and another photo a little further back from the truck.